I absolutely love stationary and when Neon Sheep got in touch to say they had launched their sleek black and gold collection, marrying ebony hues with glorious golds, I was a little bit excited and ewe guessed it, that is what I am sharing with you today. My love of stationery goes right back to buying new school books and stationery every term/semester and then when my Auntie introduced me to the world of penpalling, I would spend hours trawling the internet for fancy paper (Diddl being my favourite) to reply to letters on. As well as stationery, Neon Sheep also sell homeware, party products, clothing, jewellery and other accessories to name just a few items. I was very kindly gifted a package which contained stationery and homeware and everything arrives so beautifully and carefully wrapped, I actually didn't want to remove anything from the box. Inside I was greeted with two notebooks, a beautifully designed card, a pineapple trinket tray and a metallic patterned photo frame. What I really like about this collection is how it comes together and just works. The notebook which is A5 in size with a hardback features the word 'Notes' in gold writing. 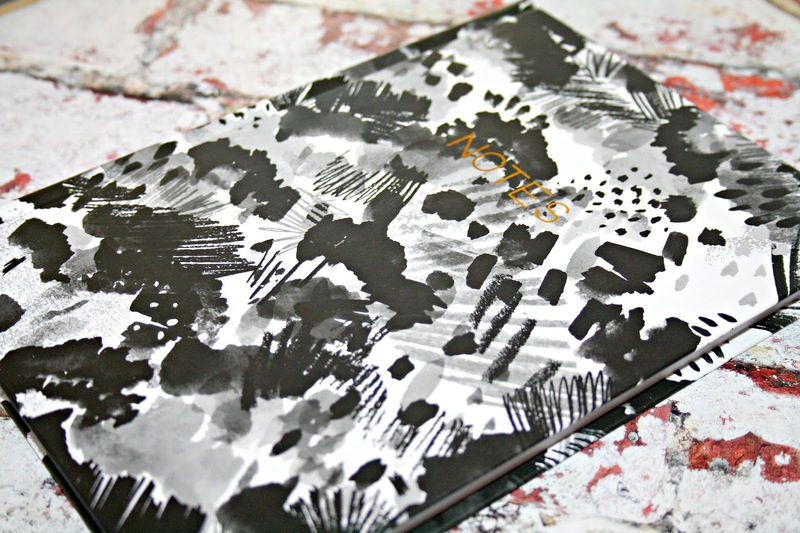 It is very on trend with its monochrome design and inside the pages are lined and in the bottom right-hand corner, each one features the Neon Sheep logo. I am never without a notebook in my bag. As I travel too and from work, or if I have a day of meetings, I am a tad old school and like to handwrite down notes and points rather than use my iPad or even Notes on my photo. During my exams and even through University, I would sit and handwrite my notes and found writing parts over and over again was a way in which to revise and it must have worked well for me because I did get a 2:1!! When it comes to writing blog posts, I always list which products have come in and from which brand, note which ones I have bought myself and as I use them, I write notes next to each one which helps form the basis of my blog posts. it also costs just £4. Staying with notebooks and I also happen to keep one beside my bed with a pen. Odd you might think, but as someone who has bouts of insomnia, this is often the time I come up with some blog post ideas. 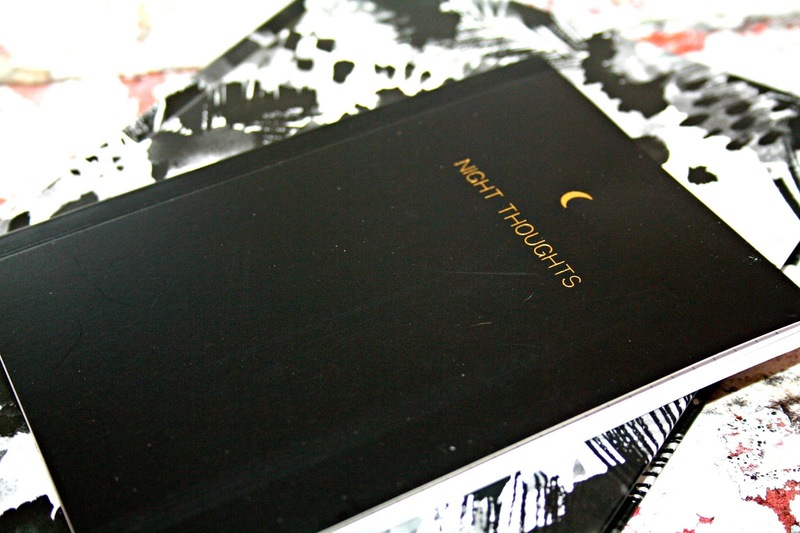 The Night Thoughts A6 notebook is perfect for this. 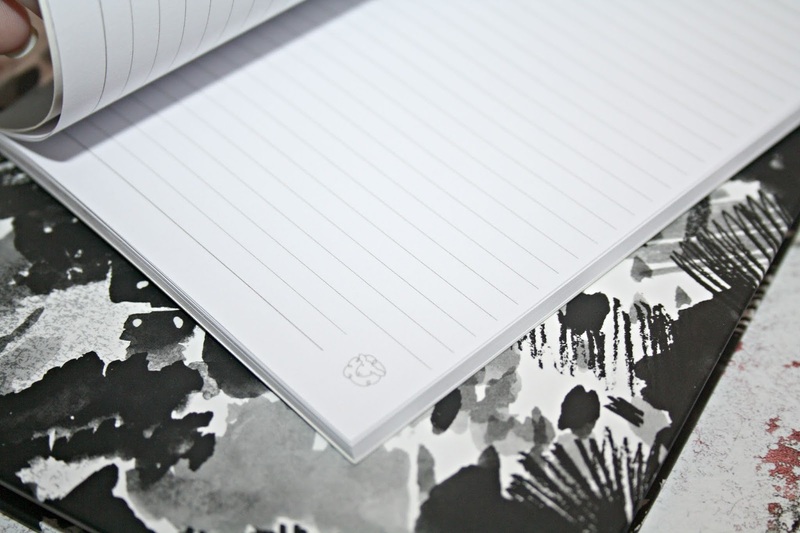 Again sticking with the black and gold theme, this A6 notebook, which costs just £1, has lined pages inside and also features the sheep logo. This is one of the handiest notebooks I have got and it is one which I have almost finished using! When it comes to photos, I have lots of frames on my bookcase which feature a lot of family photos and a few of the mister and me, but there is always one or two photos that I never get around to framing. I absolutely love this Gold Metallic Patterned frame which now sits on my bookcase with a photo of my year old nephew inside. 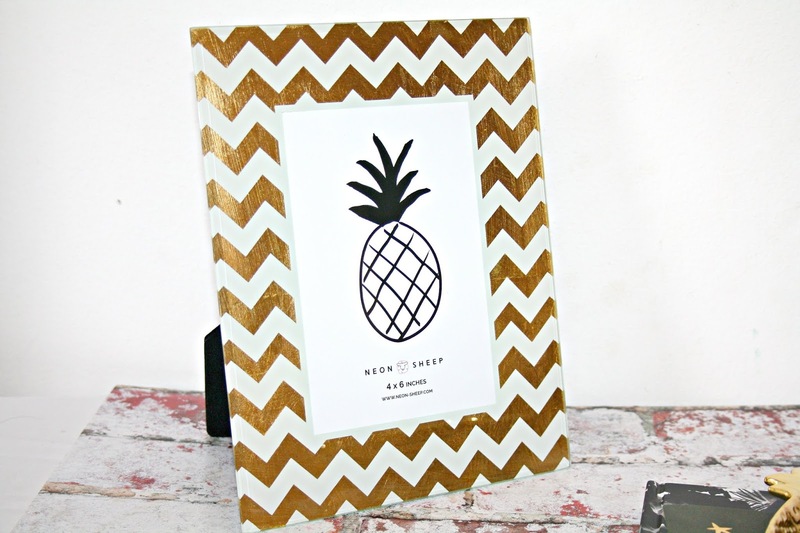 At 4 x 6 inches, this frame holds a normal sized photo and it is incredible sturdy and has a really well-made stand so it doesn't have to be propped up to stand up. It is priced at £6 and what it has done to my photo frame collection is add a bit of colour and it really stands out. 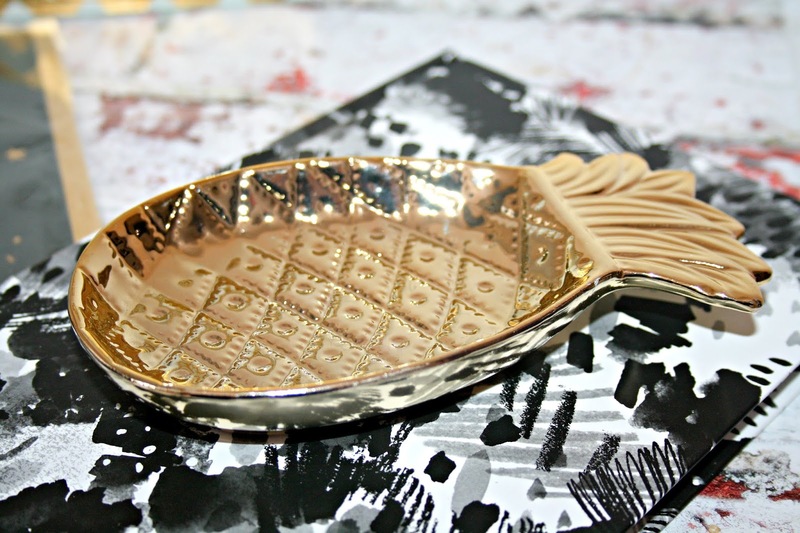 If trinket dishes are something you love, then this is one you will love. The Ceramic Pineapple Trinket Tray is as fabulously fun as it is handy. Until now, I never knew I really needed one of these, but I have it sat on my bedroom table and I put all kinds of knickknacks in it, including my house keys, lipsticks and jewellery from the day. It is priced at £4 and I now have my eyes on another one from the range which is in the shape of a cats face! The final item from within my box is the Star Chalkboard Card. I am someone who sends a lot of cards, whether it is a birthday, anniversary, Mothers Day or more likely, just something to let someone know I am thinking of them, am thankful or grateful for something, then I think a handwritten note makes a lot of difference and shows appreciation. 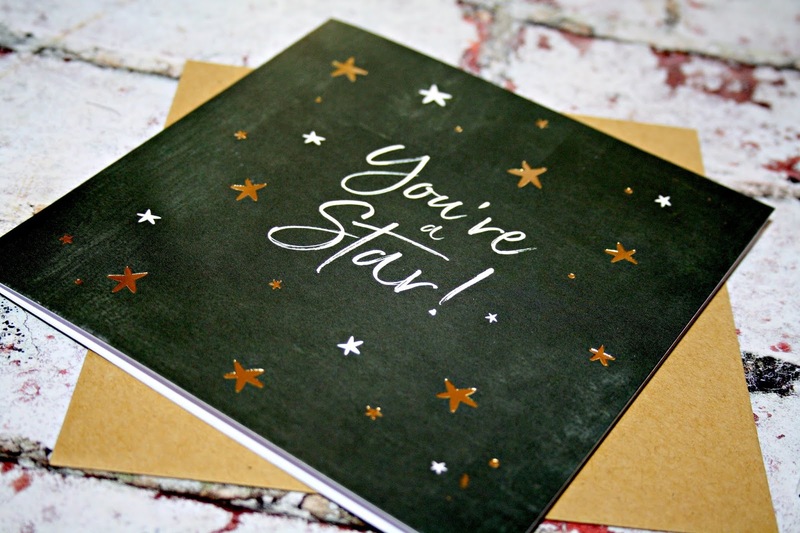 This 'You're a Star' card which costs just £2 is blank inside so you can write your own message and it comes with its own envelope. This card has already been sent to someone who I thought needed a little bit of a pick-me-up, so hopefully, she isn't reading this blog post, but it is the perfect card for her! I have loved my introduction to Neon Sheep, a site and brand I had never come across until an email hit my inbox and I am really glad of the introduction. I am debating whether or not I need everything within the beauty section and just how many notebooks is too many or whether that is just not a thing! Have you ever used Neon Sheep before? I need that frame and trinket tray in my life! The tray would make a great photo prop! Gold and black is such a chic combination. You just can't beat new stationery. I love how opening a fresh notebook makes me feel all motivated and creative. OK now this is a gorgeous looking collection. For some reason I love black and gold. I've never been in a Neon Sheep though have seen them next time I'm going in. 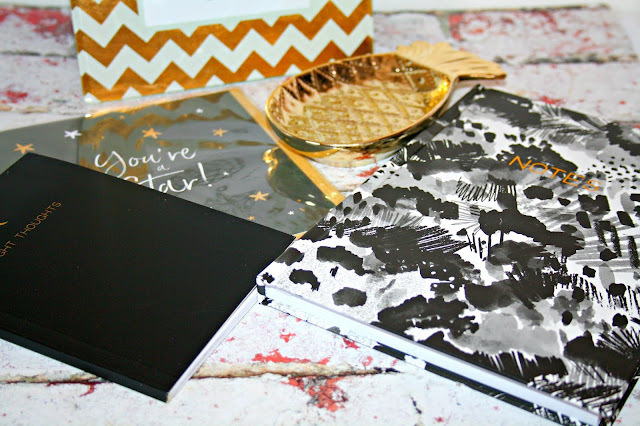 I love stationary and this is a great selection! I haven't used their products before I will check them out.